Here at Green Turf, our motto is, “Bringing artificial grass to life.” To us, this highlights how life-giving artificial grass can be. For instance, when you upgrade from natural grass to artificial grass from Green Turf, you’ll be able to enjoy much more free time, since you won’t have to deal with any time-consuming maintenance tasks anymore. That’s right – you won’t ever have to mow your lawn again when you get artificial grass from Green Turf! You won’t have to spend time and money fertilizing your outdoor space anymore, either. When you upgrade your outdoor space with artificial grass from Green Turf, you’re going to be absolutely thrilled with how it looks and functions. In fact, it’s going to look perfect 365 days per year for many years to come. All you have to do to maintain its luster is brush any high traffic areas every once in a while, and turn a sprinkler or hose on it once a week or so to rinse away any debris that may have accumulated. That’s it! If you happen to have any pets that like to run, play, and do their business on your artificial grass, don’t stress out. Maintaining it is still a piece of cake. For liquid waste, simply rinse it away with a hose or sprinkler. For solid waste, pick it up and dispose of it properly, like you would at the park or any other public outdoor space, and then spot clean the area with an enzyme or vinegar-based solution. That’s all you have to do! We have excellent artificial grass that’s odor and bacteria-resistant, so you won’t have to worry about it one bit, even if you have pets. Wondering how much it would cost to upgrade your commercial or residential property? Give us a call today at (951) 656-4150. 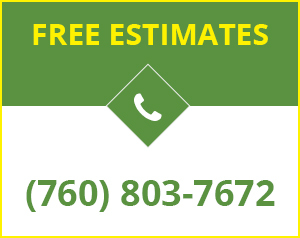 We’d be happy to come out, take some measurements, answer your questions, and give you a free estimate. 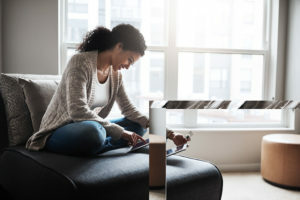 You’re going to be absolutely thrilled with how your property looks and functions every day. 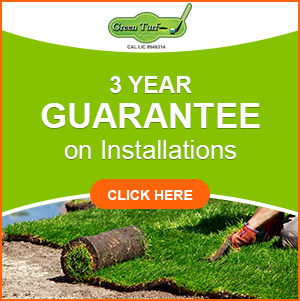 Plus we offer a 3 year guarantee on all installations for your complete peace of mind.